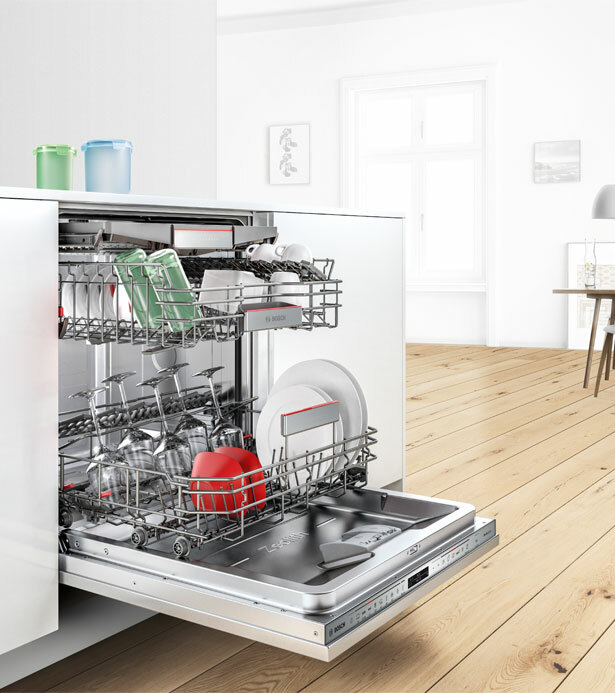 Bosch's New Dishwasher uses Mineral Technology to Achieve a Perfect Dry. The Bosch PerfectDry dishwasher employs a 3D air system and smart Zeolith technology that uses natural minerals to ensure a perfect dry. Crockery, cutlery, glassware and even plastic items are cupboard ready at the end of each cycle without the need for any extra finishing. Energy-saving minerals heat up when they come into contact with moisture to enable a natural yet highly efficient drying process. 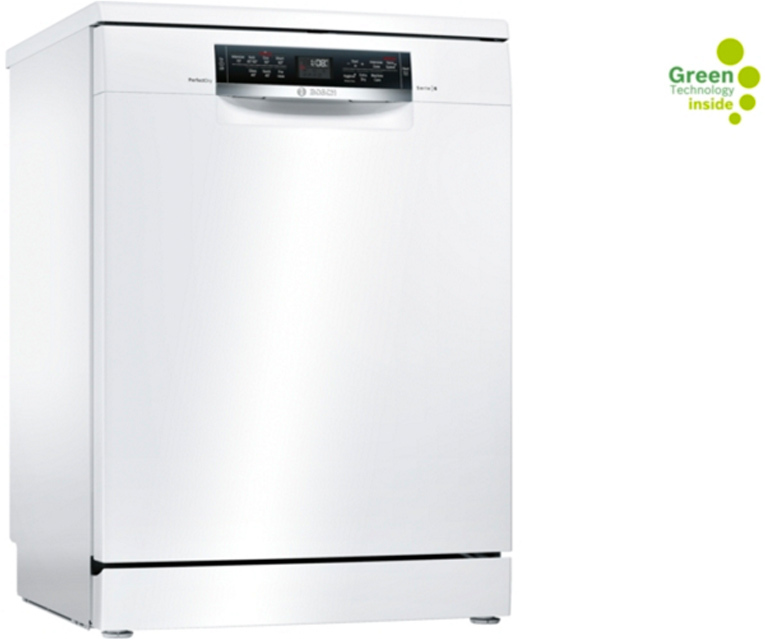 Bought this to replace your old Bosch dishwasher after 11 years. This model is very quiet, efficient, excellent stacking options and just a joy to use. I have had this machine 1 month now and it is totally brilliant it cleans well dry’s well. You can get pint glasses in with a normal wash as there is that much room ‘clever design’ great features that tell you how much salt and rinse aid before it runs out nice display on front with clock absolutely love this dishwasher. Was replacement for another cheaper make that we were trying but that failed 3 months, worth paying extra for this machine. The Bosch PerfectDry employs a 3D air system and smart Zeolith technology that uses natural minerals to ensure a perfect dry. 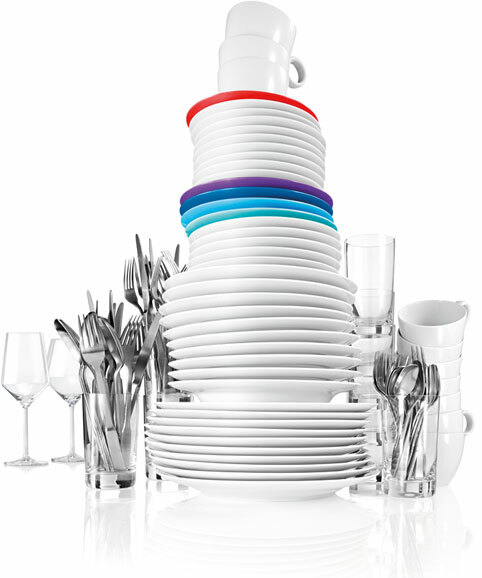 Crockery, cutlery, glassware and even plastic items are cupboard ready at the end of each cycle without the need for any extra finishing. Energy-saving minerals heat up when they come into contact with moisture which enables a natural yet efficient process. As always, Bosch have exquisitely engineered a state-of-the-art machine. The EcoSilence Drive motor is designed to provide optimum efficiency and durability whilst minimising any noise levels. The basket can be configured to suit the specific load requirements and VarioSpeed functionality gives access to fast wash and dry cycles whilst delivering immaculately clean end-results.